I have two boxes running IIS 7.5 on Windows 2008R2 64-bit. One of them has the "Error pages" setting (screenshot below), and the other one doesn't have this. What feature/role service/thing am I missing in the one that doesn't have this? 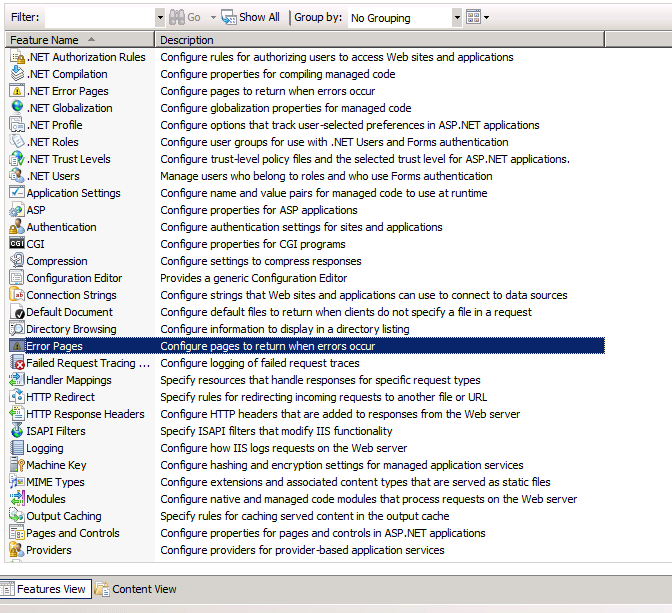 There's a role service under Web Server called HTTP Error Pages that I'd install if you don't already have it installed. Not the answer you're looking for? Browse other questions tagged windows-server-2008 iis windows-server-2008-r2 iis-7.5 or ask your own question. 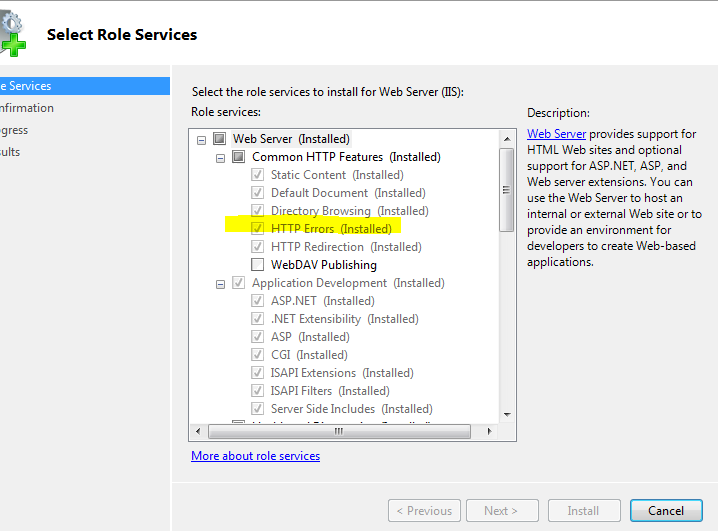 IIS 7.5 - why Googlebot receive 500 internal server error from Website?